I was browsing web, when I came across a post that shows how you can save $5,000 in 52 weeks. This idea intrigued me, and so I started looking in it. The idea was simple but yet interesting, and the final amount at the end of the year is something worth taking a look. I found the idea compelling, and so thought of sharing with you. 5000 dollars is quite big amount that can be used for anything, right from the down payment for the house you were planning from so long to the dream car. You can even use this money for visiting some place you have always wanted. So this is what you need to know to save a wooing amount of $5000 in 52 weeks. What Is This 52 Week Money Challenge? This challenge is created to help you in saving few bucks each week that finally yields to a whooping amount of 5000 dollars. 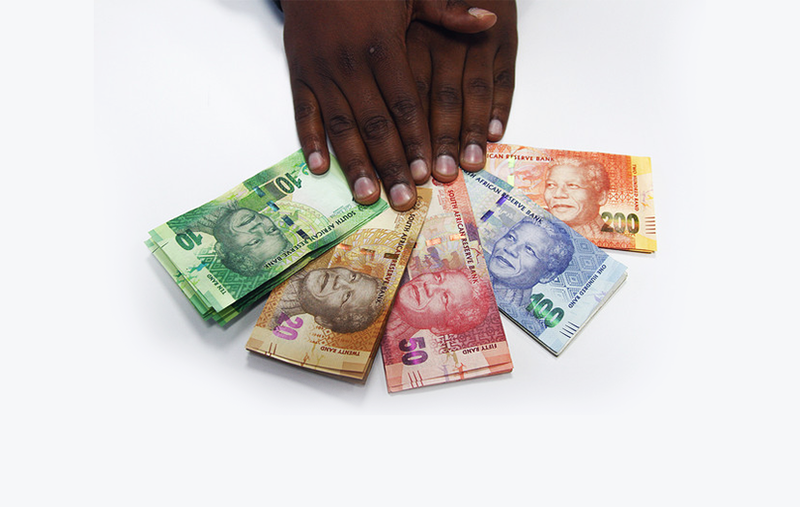 The main motive behind this challenge is to put a person in the habit of saving. With a slow start, the amount starts increasing and so the savings. This challenge starts in the first week of a year and ends with the last week. This gives you $5,000 for making the end of the year special for you. You can track this challenge by making a table with the said amount each week, and striking it off when you do deposit it in your bank. This money challenge is best suited to a person who gets paycheck every week. You have to start saving as low as 20 dollars in first week. The amount goes on increasing with each week, and finally you have a balance of 5000 dollars in your account. Saving $20 in a week is something that everyone can do, but the main problem starts when the amount starts increasing. And on every fourth week amount is very high which is more than $100 and goes on increasing as the year goes. Therefore, in this entire challenge, fourth week is the real tricky business. This means one of the two scenarios; either you’ll be saving big money in flat little time or this money challenge will fall on face within very short time. But I want you to continue with this 52-week money challenge plan. So here are few ways to cut off your bills and free up some more money for savings. The only way out from this is by planning a budget beforehand. When you get paycheck every week, you should be already aware that where all are you going to spend it. It is a best way to keep all the extra expenses in check. And this will help you in saving some money for the money challenge. Rather than shopping for the groceries only for the week, get for the whole month or two. Shopping in bulk will help in cutting the prices lower, and free up some money for savings. With each day, a new telecommunication plan is launched. You need to get updated to a new cheaper cell plan according to your uses. Check all the plans that are available and customize one according to your needs. This will free up some more money of yours. You have to be in a mindset to follow the challenge till the end. Focus on your mindset. Keep on telling yourself that you won’t back out and will complete the challenge. Remove any kind of doubt form your mind. The moment you think that savings isn’t possible, you’ll start losing all your saved-up amount. In order to make sure that you do not spend the saved money, put them in another savings account. You can also keep them in piggy bank at home, but for that you would need cash always. The temptation to break the piggy bank is another threat. Plus, another downfall is that you won’t be getting any interest on the piggy bank savings. You should start slow, but in the meantime if you feel that you can double the savings figures, then think about the $10,000 challenge. It is easy as you just need to double all the figures. Cut down everyday expenses to free up some money. Some of them include buying bottled water, instead carry one while leaving home. Minimize eating out and start making meals at home. It will save you lots of money and is a healthy thing to do too. So you’ll be saving money on food as well as health problems that you might face because of frequent outside eating. This is a tried and tested formula, and people have found success in saving quite good money. 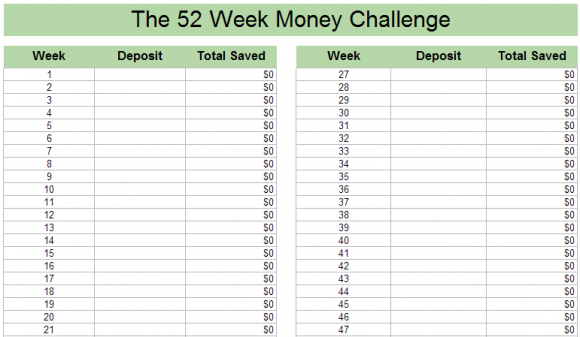 There are few people who also have suggested the reverse 52-week money challenge. According to them, this is for keeping more money to spend in the winter holidays and festival season. So this is all I can tell you about this 52-week money challenge thing. So why don’t you give this a try and see if it works for you too. When they consider it as a challenge that they have to face every week for the coming 52 weeks many people get scared. But, the truth is that it is a very simple as well as practical way to save money. Saving money and reducing expenses are two sides of the same coin. 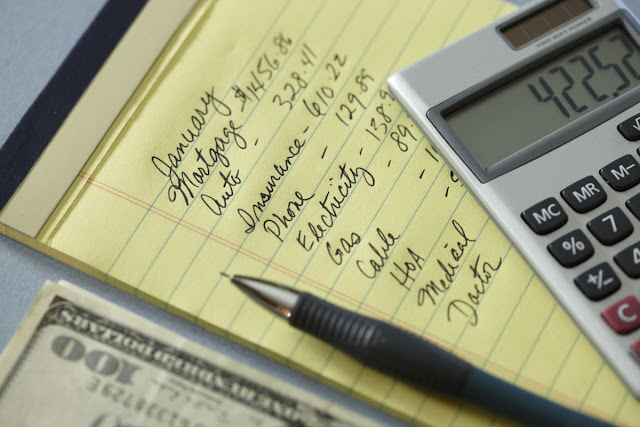 Many people start to worry when they are asked to reduce the spending all of a sudden. However, when they clearly understand the 52 Week Money Saving Challenge they are relieved of the anxiety. There is no imposition of any drastic austerity measures. It is a gradual process of saving money and the program starts with saving just $1 in the first week. Then every week increase the saving by $1 – ie. In the first week save $1, in the second week save $2, in the third week save $3, the fourth week save $4 and so on ……… and at the end, on the 52nd week of the year save $52. On December 31st the total savings of the year will be $1,378. This is an excellent example of small saving that grows gradually without causing any hardship. This is a simple and effortless way of saving money but a very systematic way of saving. The accumulation of $1,378 as your savings at the end of the year is the reward that one gets for systematically saving money throughout the year. Since one takes a commitment to save a few dollars every week of the year he is able to develop the habit of saving money. The 52 Week Money Saving Challenge is a savings plan that is voluntarily chosen by a person. He has full freedom in deciding the ways to save money every week. On a particular week of the year he has to save $10 as part of this program. The person who chose this program only has to decide how to save $10 in that week by reducing his expenses. He will be deciding where to cut and where to adjust. Hence, apart from building the habit of saving he becomes more efficient in managing the finance by controlling expenses and ensuring some savings at the end of every month. Since every week one has to save more by $1, he will find more ways to save money and as a result extravagant expenses will be minimized. At the end of the year when you find that you have saved an amount of about $1400, you become more confident of your saving ability and will be saving more in the succeeding year. Hence the 52 Week Money Saving Challenge is indeed a promising beginning and it is sure to nurture one’s saving habit and will ensure that every year a substantial amount of money is saved. This saving program is an excellent reminder to save a little amount of money every week. The spirit to save money on a weekly basis will certainly help to curtail the expenses and will help you to a great extent to attain financial stability. At the beginning of the New Year we will have ‘Resolutions for the Year’ and the resolution to implement the 52 Week Money Saving Challenge’ will ensure that we will have more money in our pockets at the end of the year. At the end of the year, when we look back to the previous 12 months, we will have a great feeling of satisfaction. We realize how we could curtail our expenses and increase our savings and as a result we get the inspiration to save more in the coming years. Another great advantage of this simple and easy savings plan is that each member of the family can get involved in it and contribute towards creating a larger amount as savings by the end of the year. Every one of us is eager to earn more money. However, controlling and thereby reducing the household expenses is an effective way to reduce the requirement for more money. We are relieved of the financial stress when we see that every month our savings are growing. Many people may feel that if we keep the money in the home we may have the tendency to take the same out and spend when there is urgency. In that case at the end of every month the savings of that month may be credited to your bank account. The money deposited in the bank will fetch interest also and as a result your savings will grow faster. The 52 Weeks Money Saving Challenge becomes really challenging when you find that you are required to save more every week and that up to the 52nd week you have to save $1 more every week. However, this is not a very tough task. If one is ready for some minor adjustments, the target can be easily met. One may go through the electricity bills of the previous months and there will be enough scope to reduce the consumption. Substantial saving on the electricity bills will make the task easier. One has to take maximum advantage of the discount coupons that are offered for the various household items. Savings through coupons enable you to save more than your expectation. Similarly the subscription services ensure substantial savings in the purchase of grocery and other household goods. Since you need not go to the store physically you can save a lot on fuel and also you can save your time. Additionally, when you purchase in bulk the items that are essential and are required regularly, you can avail cash discounts. Through subscription services one can have the advantage of member savings also. While purchasing the various food products, one need not go for the branded items always. The generic products that we come across in the departmental stores are also of the same quality but of lesser prices. By way of online shopping one can take the advantage of various cash back deals. Dining out is not a necessity most of the times, but rather a luxury. While the ‘luxury eating out’ can be curtailed, the ‘necessary eating out’ can be made less expensive by paying through a cash back credit card and also by eating from selected restaurant that provide special offers such as early bird cash discounts, ‘eat free for kids’, ‘free stuff on your birthday’ and ‘discounted gift cards’. Make it a point to sign up with the restaurants that send emails or text alerts about the special offers. 52 Week Money Saving Challenge promises you that at the end of the year you will have $1,378 in your pocket. Then starts the next New Year and you have the Resolution to save $2 in the first week, $3 in the second week, $4 in the third week and so on. It will be possible because by that time you will be an expert in controlling expenses and creating more savings. The 52-week money saving challenge is proved to be a massive and great tip to follow in order to save some not bad cash at the end of every year. We are in a world that become running fast, we should have also a method to be able to adapt with this change. We basically cherish keeping track of who's winning and feeling like we're gaining ground toward an objective. Furthermore, that clarifies the prominence of one amusement tip that numerous individuals use to enable them to collect cash with the 52-Week Money Challenge. Accomplishing your cash objectives is a long-term duty. Begin the test by securing only $1 in the main week, the following week you would spare $2, $3 and so on. In addition, before the year's is over, you will spare $1378 easily. There are a couple of ways you can supercharge your reserve funds. 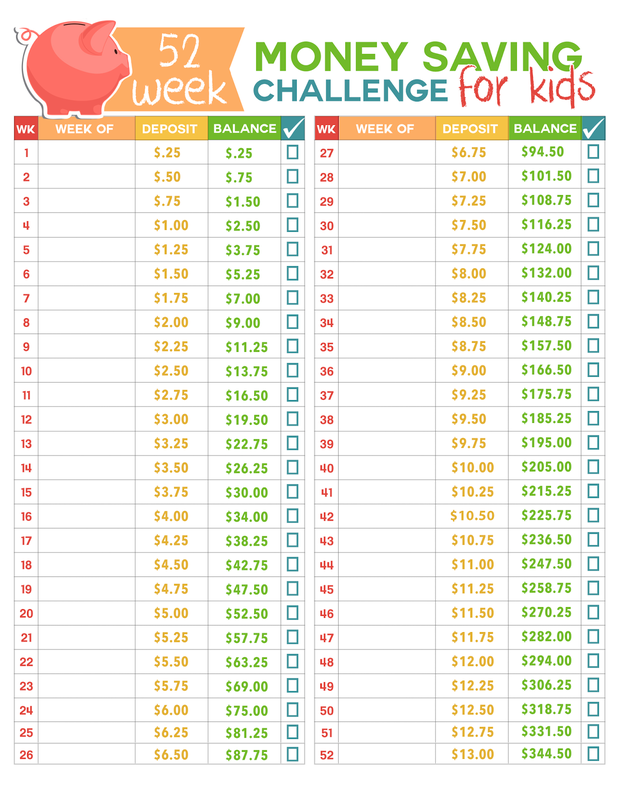 In case you're somebody who likes to jump into the profound end, you could likewise do the turnaround 52-week cash challenge, where you begin with approximately $52 in the primary week and work your way down till the end of the week. This is awesome for individuals who wind up with an additional whirlwind of inspiration toward the start of the year. However, rapidly lose all of their earnings. What is good about using a fixed amount of money in the week challenge? Furthermore, there is something fulfilling about just parting with $1 in the last seven days stretch of the test. Regardless of which strategy you pick, the most straightforward approach to guarantee a successful method of earning, it is feeling comfortable setting up an immediate charge for every seven days stretch of the year. In this case you could likewise simply level it out into level with increases. For example, $26.50 every week in case you are doing all the necessary and the fundamental test, or even $53 every week in case you're doing twofold. However, that is does not really sound fun at all. Obviously, a large portion of the fight with a test like this one is keeping yourself responsible, so you do not subtly spend out your immediate charge earnings when you have a very urgent need for spending money on unnecessary stuff of everyday life. In other words, you want to feel free using all your money, investing in unnecessary things as to buy so many clothes that you will not use I a daily basis. Commence by stocking ceaselessly only $1 in the principal seven day stretch of the year, and after that start bit by bit increasing your saving by a dollar a week during the year. In a result you keep $2 in Week 2, $3 in Week 3, and so on, until the point that you are able to keep $1,378 savings before the end of the year. How to win the 52-Week Money Challenge? And what is the better way to do that? One of the hardest parts about saving cash is sticking in your word not to spend those dollars on entertainment means, or insignificant stuffs. That is the reasons why you can start using a calculating machine to keep you stick in your promise not spending the money dedicated to the 52-money challenge. Most recognized banks have refined on the web and provide managing your account, which enable you to set up programmed stores on whatever timetable you need each Friday, or each payday, or whatever works for your calendar. Some of these Bank service even enable you to approve exchanges by means of instant message, making it simple to adhere to the test. The other beneficial part about keeping cash in a manageable account bank is really having the money available to stuff every week but cannot take it as well as fighting the temptation to take it. In a result to that, setting up a high-premium investment account on the web, can naturally deduct cash and preserve it so you want spend it. The typical method to do the 52 Week Money Challenge is through slow developing. In week 1, you spare $1. In week 2, you spare $2. Week 3, you spare $3. When you get to week 52, you'll be securing $52 for the week. Just set up a programmed investment funds store for $100 a month. At that point, every month, kick it up by $5 (or $10). For instance, spare $100 in January, $105 in February, $110 in March, et cetera. By next December, you'll be sparing $155 a month and sitting on adjust of $1,530. For example, in case you use $10 increases, you'll have $1,860 set aside. In this method, propelled savers or high workers who as of now have a significant just-in-case account may laugh amenably at the thought of sparing only a couple of dollars seven days in the early going. In case you are an expert saver or have a more forceful focus as a top priority, raise the stakes a bit by starting with $100 a week and keep with your commitments in increasing $2 day after day. 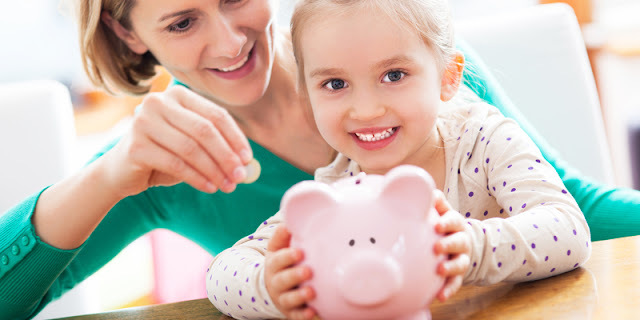 Creating a saving habit for your kids help to prepare them for their bright future, and the money saving challenge for kids is the best starting point. Giving your son or daughter an early experience with a saving challenge for kids habit might be the best way to show them that setting money aside can help it grow. It's a good way to start your children on the road to financial success. Teach your children about saving and help them to get the best financial start in life with a 52 Week Money Saving Challenge for Kids. This saving challenge for kids is aimed at helping kids to learn the value of saving as well as earning and hard work. Building your kids saving mentality is a great way to demonstrate the power of personal finances. Help out your kids to build their own money saving goals. For your kids to start a money saving challenge, just give them a way to see their success by providing them with piggy banks. Creating the right financial foundation for your children is as important as teaching them the alphabet. Teach your kids the virtue of saving with one of the best piggy banks for kids will help to build up their money management as they grow up. Here are 52 week money saving challenge for kids to start with.